Do you ever forget to change out your centers? I know I do! 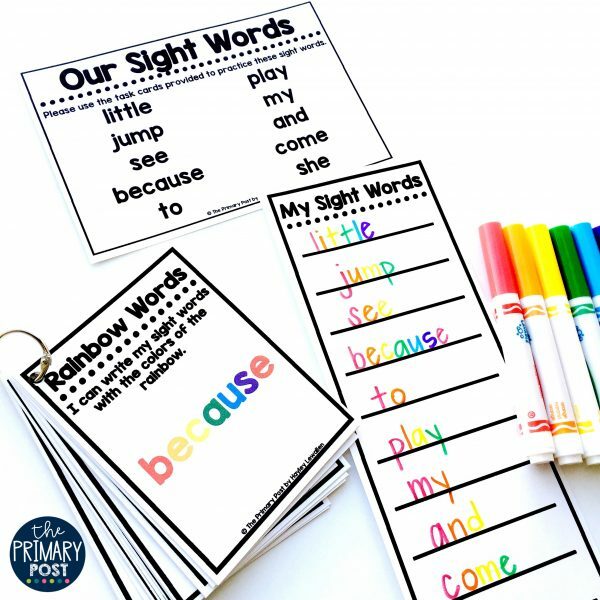 I wanted to come up with a Sight Word Center that could LAST and make it super easy to prep and add on to! 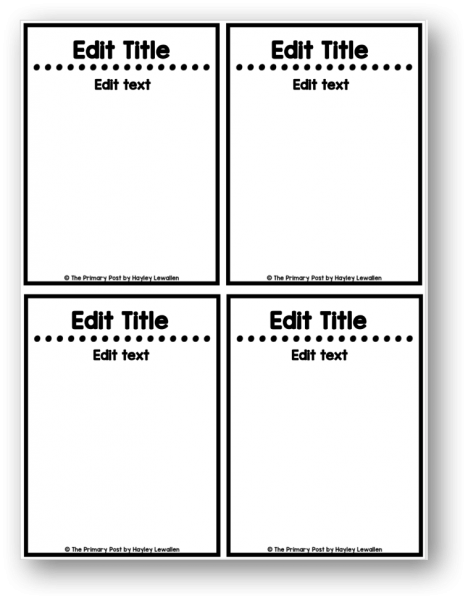 You can also make your own task cards with the editable template! 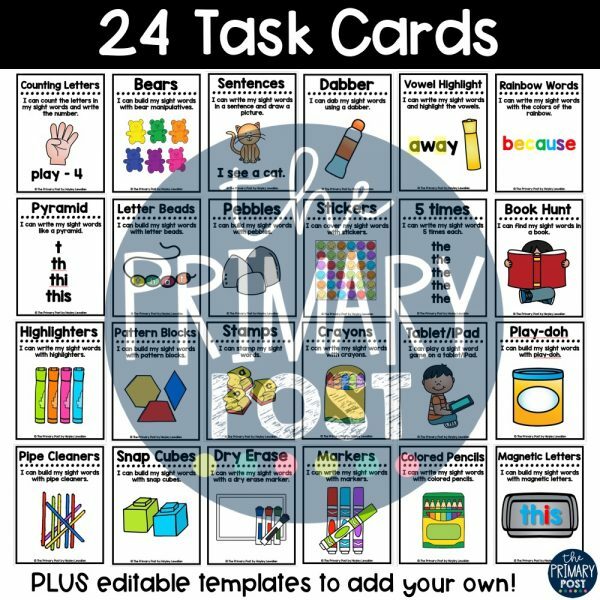 You can add in your own text and graphics to make task cards for any other materials you may have in your classroom. Some of these activities can be a little overwhelming to students at first, but that is why I like to HEAVILY model every single card before I put them in the center. Some of these materials really get them thinking about letter formation and allows them to tap into their creative side. 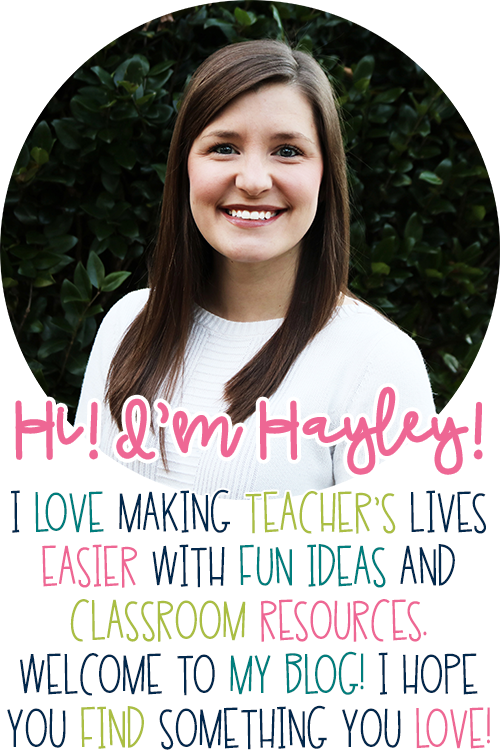 I only add 1-2 cards at a time to the center so that students aren’t exposed to a huge overwhelming amount of materials at a time. 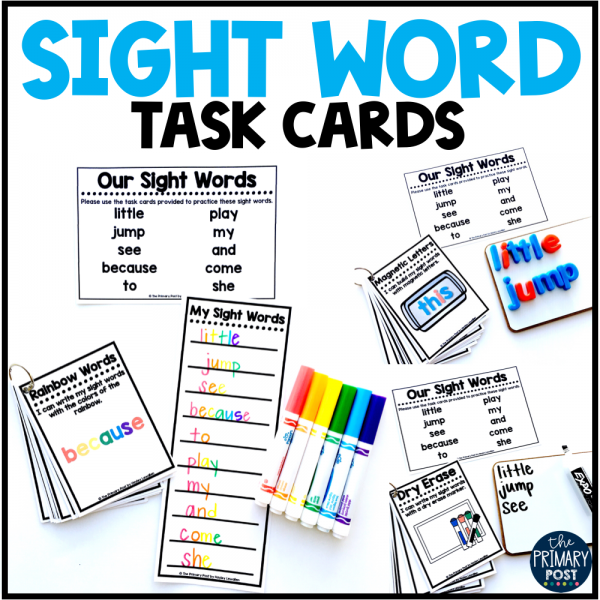 My FAVORITE part about these Task Cards is the EDITABLE Sight Word List that is included. 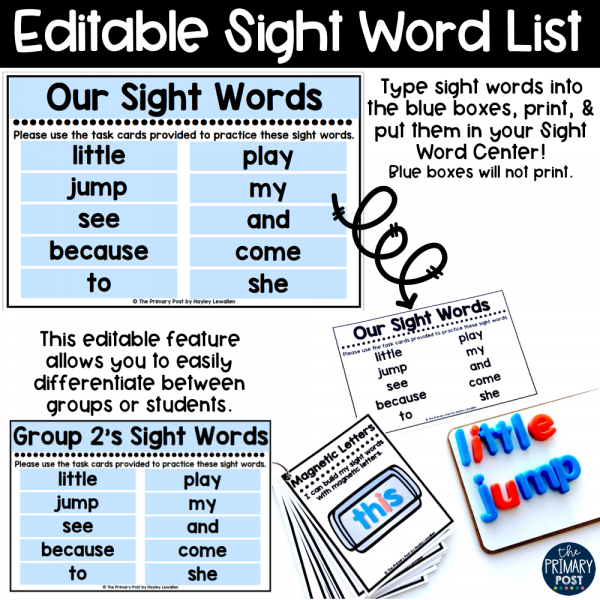 The Word List makes the center engaging each time a student goes, because the words are always different. 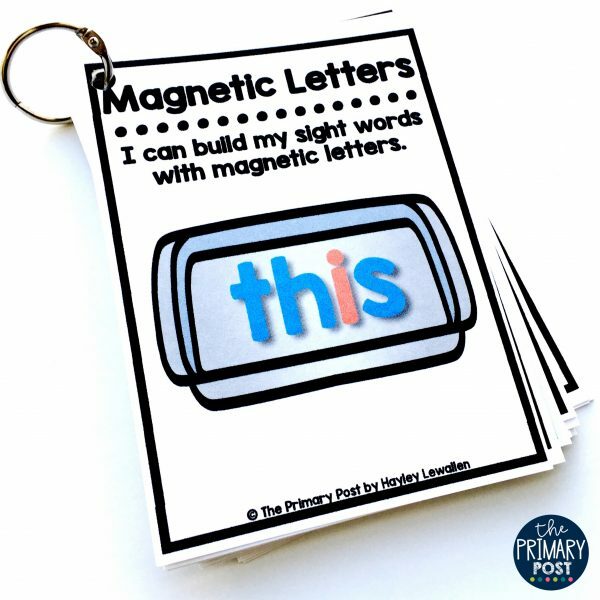 If you do not want to bother with the word list, you could always just have students choose their own words or practice words you have on a word wall in your classroom. 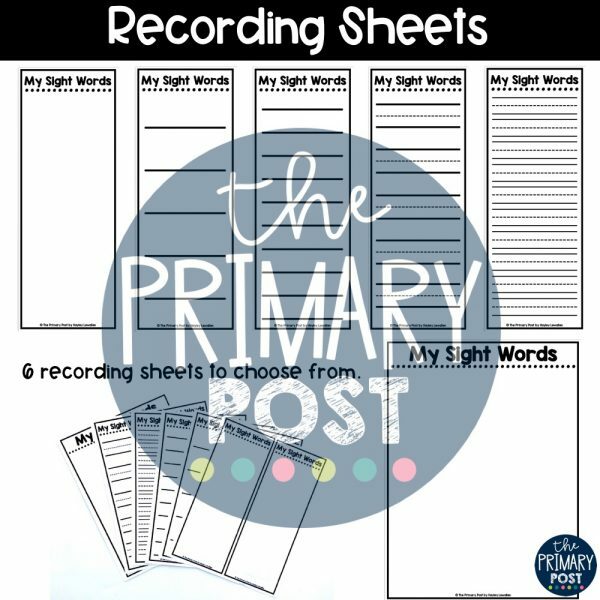 If there are any Task Cards that require students to write their words, there are also recording sheets included. 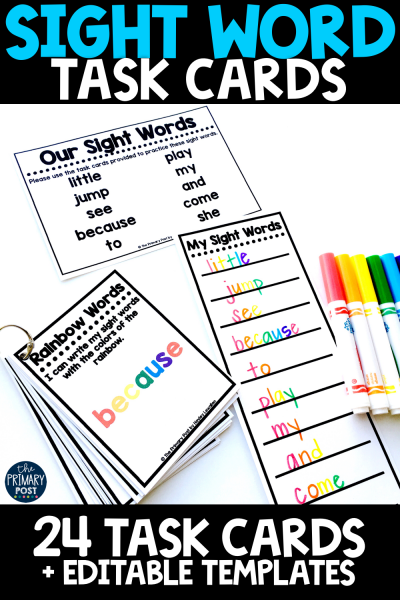 For example, on the Rainbow Words task card, students will use the colors of the rainbow to record their words. 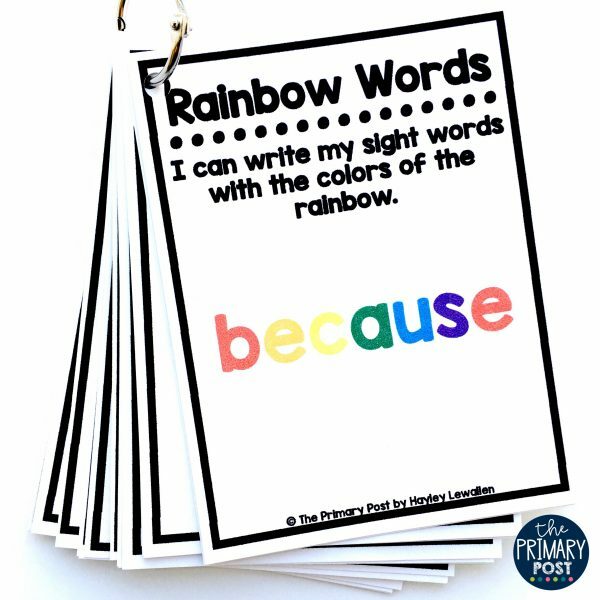 For the Rainbow Words task card, I used the recording sheet that had 10 lines. 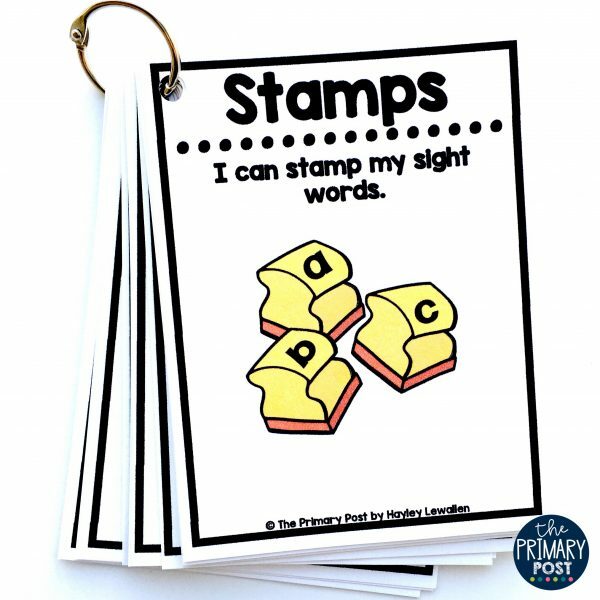 Primary writing lines for 5 & 10 words and a blank page are also included. Want to get your hands on this easy peasy center? Click the picture below! 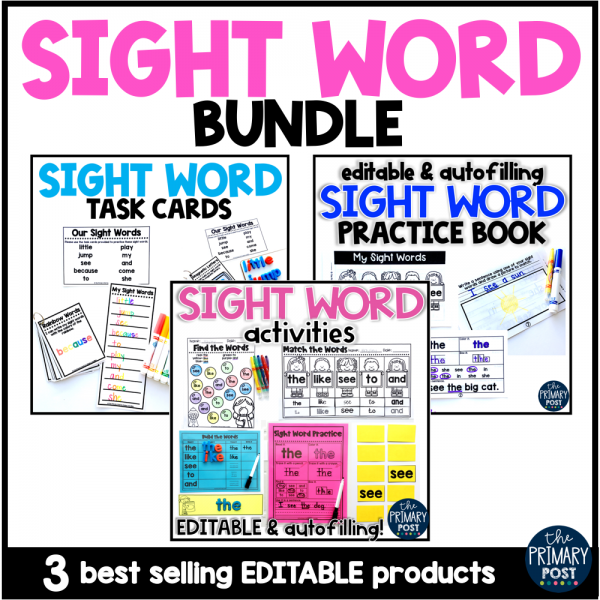 OR you can find it in this bundle along with 2 of my other best selling EDITABLE Sight Word Resources!